Landon Hensley got caught in a run-down against North Laurel Monday. Connor Farmer avoids the tag at second base in the win. MANCHESTER – Talk about getting a little relief. Clay County fans took a deep breath as the final out was made, giving the Tigers a 4-1 victory over the dreaded, but respected North Laurel Jaguars. North has seemingly owned the Tigers since 2012. Clay got the much-needed win to gain an advantage in district seeding, while also holding the Jags to five hits on the day. North would gain the early 1-0 advantage in the first inning on the heels of a single, and error in centerfield. Clay pitcher John Gilbert would strike out the following batters to get out of the tight jam, holding North Laurel from extending their lead. The Tigers would respond with a run of their own, tying the contest 1-1. In the bottom of the 2ndinning, Clay County shortstop Andrew Saylor would smack a single to get things going. Thomas Jackson would crush a deep line drive to center, scoring Saylor from first. North would follow suit, finding ways to get the next two batters out to escape what could’ve been a game-changing inning. The Tigers struggled on the base paths, being picked-off three times. 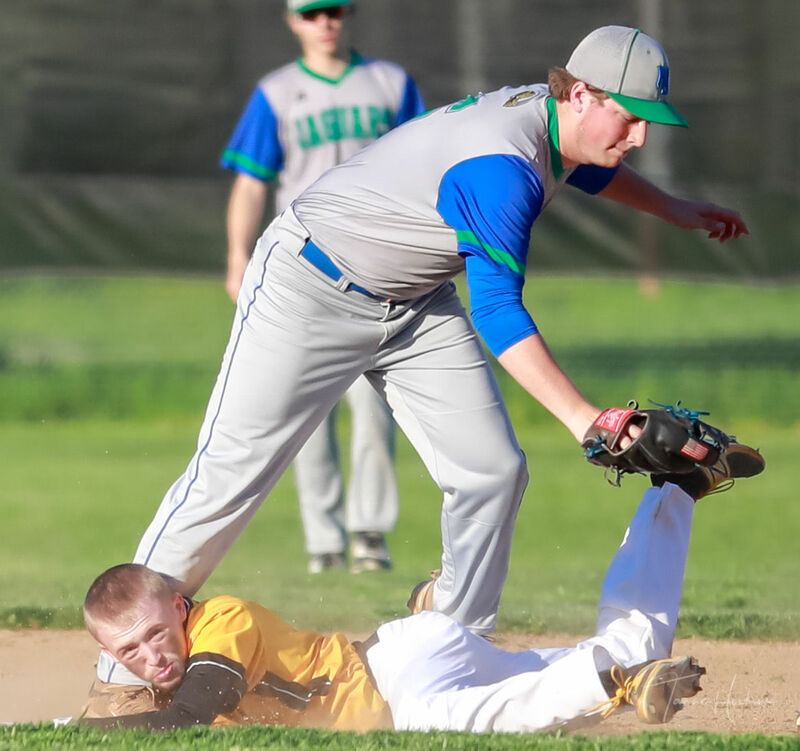 However, controversy arose in the bottom of the 5thinning, as North Laurel seemingly had their fourth pick-off on the day, forcing Clay second basemen Connor Farmer into a rundown. Farmer evaded the Jaguars for what felt like an eternity, finally falling to the ground with his helmet being removed in the process, escaping what everyone thought was a clear tag, and reaching second base safely. North Laurel, angered, protested the call. Farmer remained safe. Farmer would score on the next pitch, as John Gilbert would smack a double to left field, giving Clay the 2-1 lead, and securing the final lead change of the day. North Laurel had any momentum sucked out of the air, as Clay would put things in cruise control and pad their lead, to eventually win 4-1. The Tiger offense was led by Thomas Jackson, as he went 3-3 with 1 RBI on the day. Austin Smith and Blake Mills both finished with multiple hits as well, both going 2-3. The three combined for 7 of the 11 Tiger hits on the evening. Gilbert pitched a complete game, tossing all 7 innings, allowing only 5 hits, striking out 8. His off-speed pitching kept the Jags at bay all night long, forcing undisciplined plate appearances, unusual for North Laurel teams. Batting – John Gilbert (1-3) 1 RBI; Colby Howard (1-2); Cameron Farmer (1-3); Andrew Saylor (1-3); Thomas Jackson (3-3) 1 RBI; Austin Smith (2-3) 1 RBI; Blake Mills (2-3) 1 RBI. Pitching – John Gilbert (W) 7.0 IP, 5 hits, 8 K’s.